So I only stumbled upon UNELEFANTE very recently and had to make note of it on le blog. I am completely in love with their art-inspired chocolate bars made in collaboration with Chef Jorge Llanderal. They also have a wonderful collection of other colourful Mexican made goodies to check out. 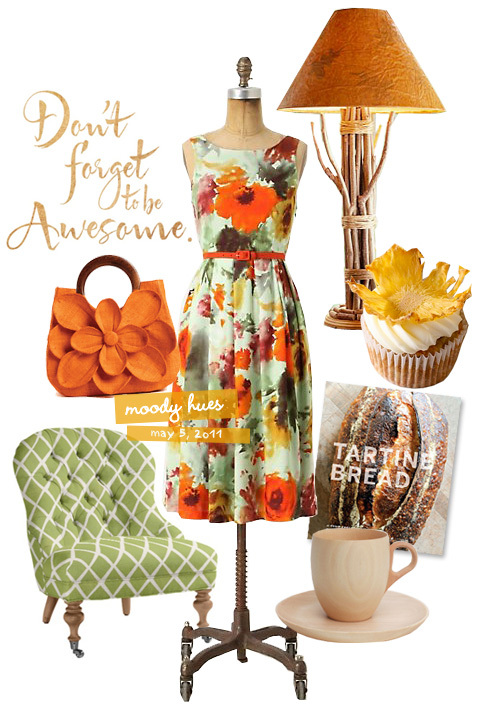 The chocolate bars would make such great treats for an art-themed party, doncha think? Hey Folks, due to the popularity of last year's 'Sweet New Year' Calendar and requests from readers, I have updated it for 2014! Continue to download your freebie! If I had a spare $560 dollars and the ability to balance on an upright pencil, I would get these shoes. Who am I kidding, I would probably never wear them. I would just put them on display in our living room and gawk at them all day. Or perhaps eat them for dessert. They look like candy. Speaking of candy, I'm currently coveting this super cute 'Candy Shop' nail polish by Deborah Lippmann. It's sparkly and colourful. What's not to love. 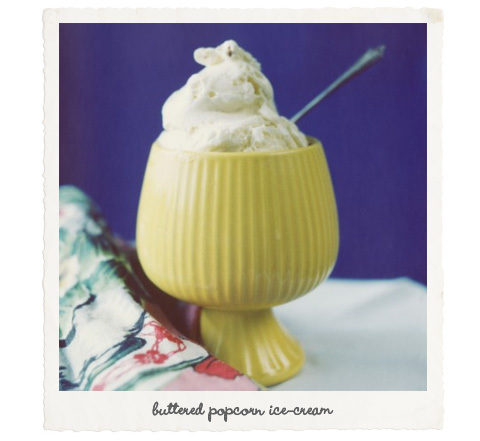 I'm intrigued by this buttered popcorn ice-cream recipe by Trotski and Ash. I'm sure it would make a great addition to a movie night with friends. While you're there check out all their other cute recipes accompanied by the gorgeous photography of Lauren Bamford. 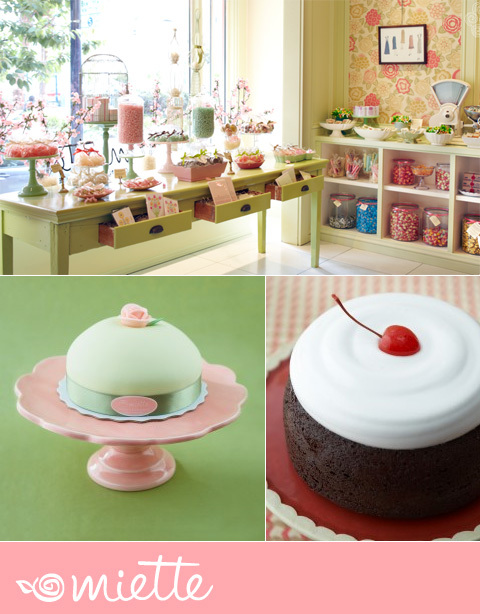 I visited Miette when I was in SF last year for my honeymoon. Simply the most gorgeous cakes I have ever seen! And now there's a book !! Must have now! Note: This post contains a link to 'Miette: Recipes from San Francisco's Most Charming Pastry Shop' on Amazon. I am an Amazon affiliate which means that I receive a small percentage of any sales made when readers click on this link. This helps to keep this website alive. However, please note that I would only ever review and suggest books that I personally recommend. Oh boy! When I spotted these beautiful creations from Magpie's Cake on Simplesong, I was so smitten I felt they were definitely worth a mention here also! These are stunning! Ice-Cream Sandwiches are among my favourites in the "Ice-Cream" family. After an exquisite meal at an elegant french restaurant, I have been known to politely refuse a chef prepared crème brûlée, under the pretext of 'fullness', in order to leave early and take an ungraceful dive into the nearest 7-eleven to acquire a, somewhat less fancy but, in my opinion, equally delicious, mass-produced dessert known as The Monaco Bar Ice-Cream Sandwich. I am not ashamed by this fact. I stand by my love for these delectable creatures. So, you can imagine my delight when I stumbled upon this recipe for ice-cream sandwich goodness on Tartelette! Firstly, Helen has used my Ice-Cream Parlour cup designs in her beautiful photos! 5 points right there already. Secondly, she provides a gluten free recipe for the cookies! "Hooray!" shouts my supposed wheat allergy. Perhaps now, instead of indulging in convenience store, pre-prepared packages of sin I can instead learn to make these delightful goodies for myself and also avoid the minor wheat-related tummy ailments. Now all that's left to do is actually get me in the kitchen. One of my favourite blogs of all time is A Field Journal. I'm sure many of you have seen it before and are well aware of just how truly inspiring it is! Through her breathtaking photo-styling and the most adorable creative projects, Livy conjures up a perfect little world in which to get lost. Last week was 'Apple Week' where Livy provided some tempting autumn-inspired apple recipes accompanied, of course, by her signature gorgeous imagery. Feast your eyes on these: Apple Cider, Candied Apples, Caramel Apples and Apple Crisp. Yum. Yum. Yum. This cutie-pie set of christmas themed stamps from Aspen & Brown would make great embellishments for cards, tags and giftwrap this Christmas. These chocolate filled Peppermint Meringues would make an attractive and delectable addition to your Christmas table. Get the recipe from Martha. Also check out her Heavenly Holiday Desserts. I find her Hazelnut Praline Torte to be particularly striking. It was just before Christmas last year and my mother and I were in a car headed towards Armadale when we discovered a little shop packed to the brim with brightly coloured packages in a variety of beautiful and exotic patterns. We were intrigued! Continue for more details and pics. Bottom: The cutest little cupcake wrappers from The Cupcake Wrapper co. Available here. Whether used for favours or simply as a cup that guests can use to collect their own selection of treats from your party's candy buffet, the festive colours in this cup design allow for use at any occasion- parties, weddings or even the upcoming Christmas and holiday season. "La Dolce Vita" - Italian for "The Sweet Life" is a somewhat fitting title for a cup with a solitary life purpose to contain lots of delicious candy- No? Continue for more pics, ideas and to download your free paper cup cover design! Was flicking through old editions of Inside Out magazine, garnering inspiration for some future projects when I happened upon this gorgeous table design by stylist Jenny Louey in their Xmas 07 edition. I love the surprising juxtaposition of cherries with Haigh's chocolate frogs- I think it strikes a lovely balance between sophistication and whimsy. I also love the rich colour scheme with deep reds and browns and the inclusion of easily sourced, everyday food items like Petit écolier biscuits and Lamingtons within such a stylish and elegant context. Gorgeous! Is it too early to be pondering Christmas? Inspired today by the rich colours and indulgent lifestyle portrayed in these gorgeously styled photos. Inspired by Jordan Ferney's brilliant wedding concept for an Old Fashioned Soda Bar, I set out to create these fun, retro-inspired label designs for soda bottles that hark back to the glorious era of soda fountains! These can be used for your party or wedding to create your own Soda Shop or to add a gorgeous beverage stand to your Ice-Cream Parlour theme. Guests can select from a brightly coloured array of flavoured sodas to make their own delicious Ice-Cream Sodas! This simple and beautiful imagery makes me crave chocolate something chronic. I've never actually tried Kohler Chocolates before but I'm certainly tempted! I'm curious as to who did the photography and styling for these. Anybody know?